When departing Nassau International Airport guests can relax in the Graycliff Airport Lounge prior to their flight. The lounge is located following USA pre-clearance and offers a full service bar and dining. The warm, elegant styling offers comfortable designer chairs and couches with subtle lighting, and flat-screen televisions. A state of the art ventilation system ensures the cleanest atmosphere possible. 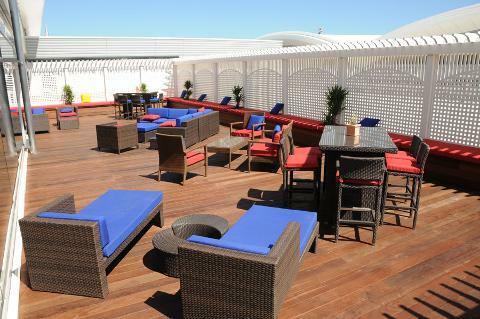 The lounge is located across from gate C-41 following USA pre-clearance and offers three options for relaxation – a sumptuous outdoor deck to work on suntans up to boarding time, or the air conditioned comfort in a choice of smoking and non-smoking lounges. The entry fee includes unlimited Wi-Fi. 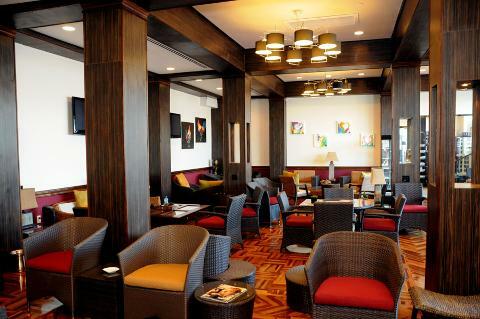 The Lounge offers a full service bar and dining options. Lounge hours 7am to 7pm daily. Closed Christmas day.